Me, in my happy place. What is your happy place? I have many, from devouring a good book while listening to the rain to nursing my toddler on the couch after getting home from daycare. These are the little rituals that ground me in peace. What gifts they are. It still surprises me to acknowledge that running is one of these gifts. Today is my rest day, and it’s a snowy, silent sort of wintery day. Last night I completed a maintenance run of about 4 miles. 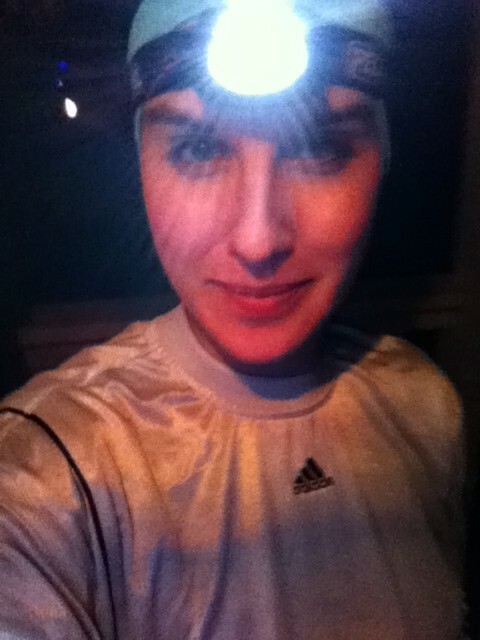 I love seeing other runners in the neighborhood, steamy breath bellowing beneath their headlamps. It gives me motivation to know there are others out there making the choice to leave a warm house and endure the elements. I am making it through a brutal cold and flu season relatively unscathed (knock on wood). I’ve become more stubborn about running, and I don’t use a scratchy throat as an excuse to skip a run (although it’s mighty tempting!). I’ve found if I get my blood pumping a bit, I usually feel much better the next day. My knees and ankles are not feeling twinges as often because I am actually building up the right muscles to support them. number 3 – I definitely relate! I’m glad there’s much less knee/ankle twinges! I forgot to mention that red wine and dark chocolate are happy places too. Cheers to wellness among the nasty germs!